Before I say anything, let me warn you that this post will contain spoilers! 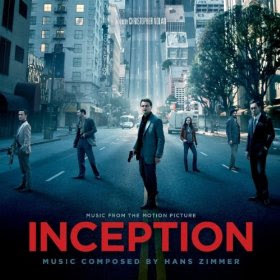 So if you haven't seen "Inception" yet and you plan to, then stop reading now and come back after you've seen it! Before we get to the obvious part that everyone is talking about (the ending! ), let's talk about the visual effects. Crazy special effects are the norm now, and we see them in every movie. But I though the effects in this movie were very smooth. In the scene where the architect was first learning to mold dreams, and she folded the city to a 90 degree angle, it looked almost natural, and it wasn't awkward as she and Cobb stepped up onto the perpendicular walkway. I loved that it didn't look clearly CGI or fake in some way. I also loved the scenes inside dreams when gravity was being toyed with. As the van was in free fall, and people were floating in midair, whether it be a fight scene, or just moving around, I felt like I was watching The Matrix for the first time again. Just the unreal physics involved, and a totally new way of seeing a movie shot were amazing. So now let's get to the really fun stuff! So Cobb gets off the plane, heads home, spins his top, and gets distracted. The top continues to spin, we see it wobble just a little bit, then cut to the credits. So anyone can argue their point. He's awake, we just didn't get to see the top fall over. Or he's still in a dream, which means that the entire movie was a dream, which means that we don't even know if anyone else is real or just a projection. I'll be honest, I was a little too wrapped up in the story as a whole to have been studying the little details that might give it away. This is why I can't wait for the DVD to go back and re-watch the movie, knowing that that top was still spinning. Look for clues that he was dreaming all along. What did you think? Was Cobb still dreaming or in limbo? Was he actually awake?